Today is my daughter's wedding. It is going to be a simple wedding at the park. She is making her own cake. 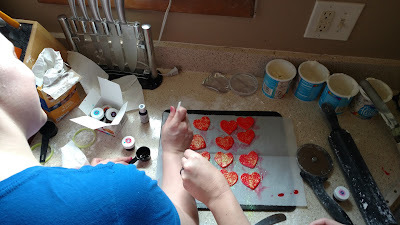 Since it is outside, she researched for a frosting that would hold up to high temperature, in case it was going to be a hot day. She found that fondant was an option. She made a marshmallow fondant. 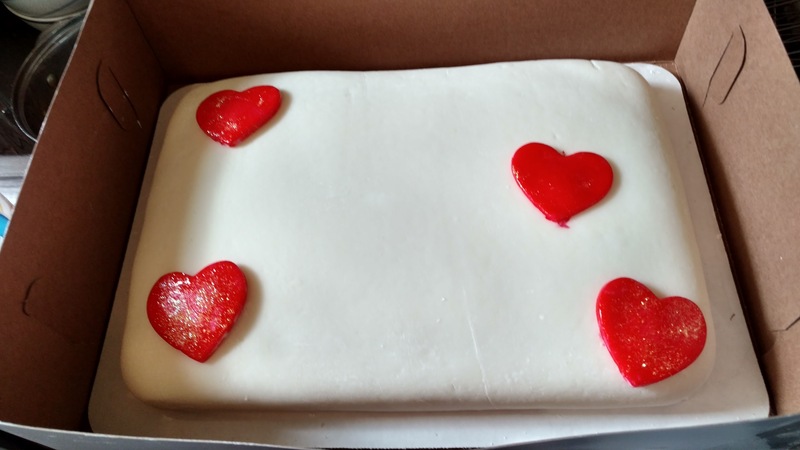 She is going to have chocolate, lemon, and white cake. So I had to try to make roses with some of the leftover fondant. 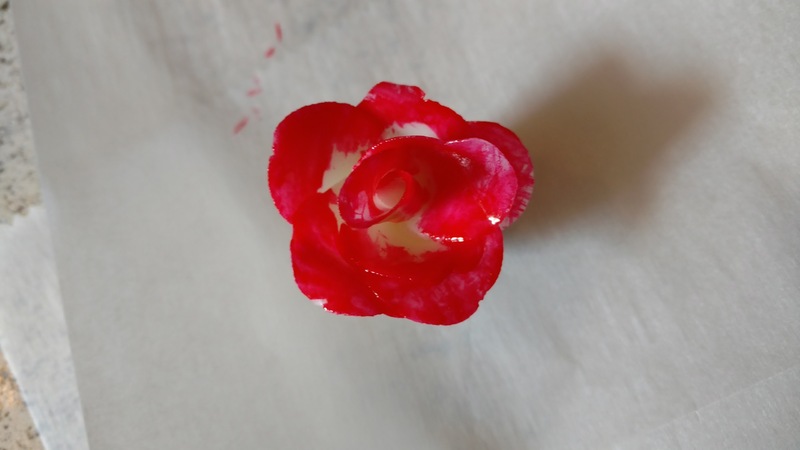 I found a You Tube video and made my first attempt at a fondant rose. It turned out ok. There won't be any roses on the cake, it will just have hearts.